Shoe mecca – the street where Georges Sand was born is filled with shoe shops. High heel problems? Talons Academy: Their mission is to help you feel confident and elegant in high heels. Marché aux Puces de la Porte de Vanves: The Paris flea market where Aimée shops. 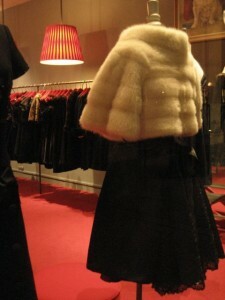 A no brainer for those great bags everyone has (unless of course you can afford to shop at Agnés b. ): the little luggage shops in the Metro at Auber or under the Opera or – you know those tiny shops that always have everything on sale and you get great prices for little leather backpacks or pleather type shoulder bags. BHV for bubble wrap… one never knows when it’s needed. Le Baron Rouge: an old fashioned wine bar by the Aligre market… fill your bottle from the casks or have oysters in season… jammed after the market. 16 rue St-Sabin… check out the rhino head above the bar and be prepared for good food. Resto des 4 Frères: locals swarm to crowded and cheap couscous. Couscous and intimate atmosphere in an old bistro with smoked mirrors, branché crowd (Jospin ate here). Turkish women will scrub layers of skin off your back… recover with mint tea and honey cakes on a marble slab or by the fountain! Dancing: Le Balajo in the Bastille, on cobbled rue de Lappe: an original bal musette where Edith Piaf sang now with disco, funk and tango afternoons. Batofar…dancing on a barge moored in the Seine in the 13th…quai de la Gare. Try Cava Cava off rue Oberkampf in Belleville for Cubano and Brasilien. La Jungle… the Senegalese club in Murder in the Sentier is based on this place…wonderful Griot music, the rum punch packs a wallop. 44-46 rue François Miron in the Marais, housed in a medieval hotel particulier. This foundation sponsors historic walks and preserves old Paris…visit. Better yet, join them. Hotel Lutétia on bd. Raspail…the old German Occupation stomping grounds has spiffed up to several stars in the Michelin – out of my budget for a drink… look for the plaque mentioning victims on the side of the building. 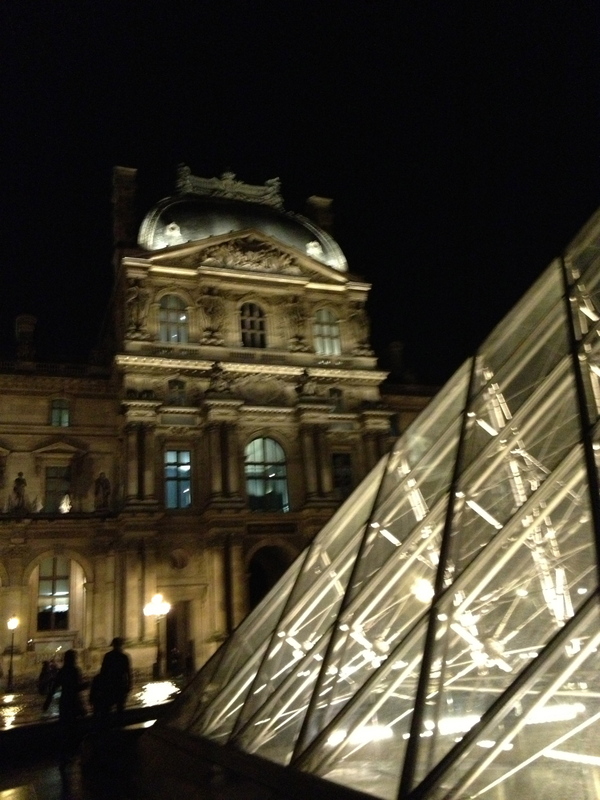 Go to a night concert at Saint Chapelle… get lost in the corridors of the Court Tribunal on the way out! 16 Rue Chaptal, 9th arrondissement. Open daily except Monday, 10 AM-5:40 PM. Metro: Blanche. Musée Carnavalet – The museum dedicated to Paris. Open Tuesday to Sunday, 10 AM-6 PM. Metro: Saint-Paul or Chemin Vert. 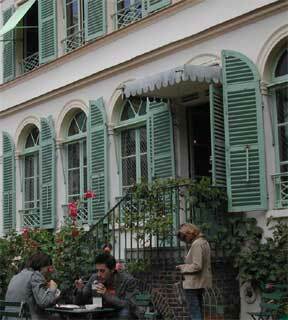 Paris Walks: Historical and chock full of tidbits. Walking tours founded by lovely Oriel and Peter Caine. Ride a bike in Paris – the first half hour is free! The official Paris Mairie site – a go to for markets, expositions, museums, toutes! You can download the RATP app, too. 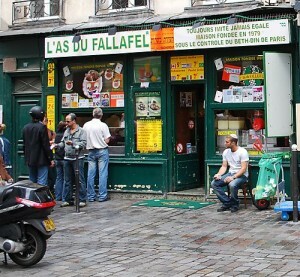 Invisible Paris: Adam’s wonderful blog of unusual and forgotten Paris. Cara took a group of fans around Paris in October 2013, letting them walk in the footsteps of Aimée Leduc! 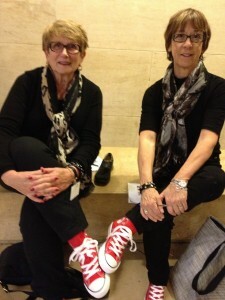 Aimée Leduc high tops worn by the two Sharons for the Louvre treasure hunt. 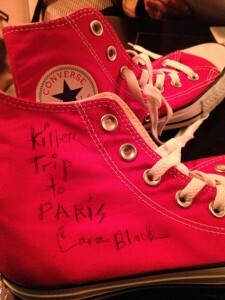 Cara signed them. 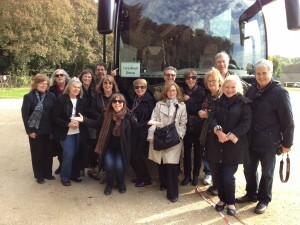 The tour group in front of the bus at Vaux-le-Vicomte. 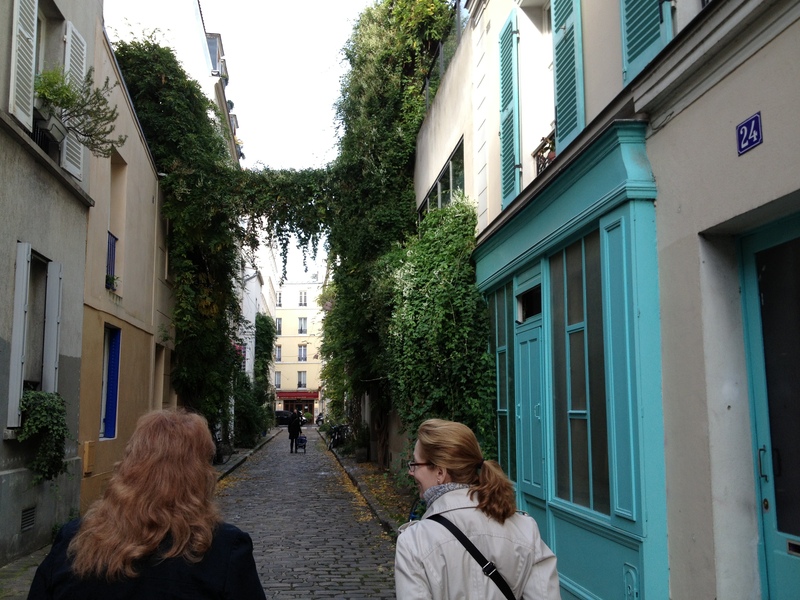 Laura, the winner of the Killer Trip contest, walking below Montparnasse. The Louvre, site of a treasure hunt. There were teams, treasure maps and a prize for solving the puzzle.